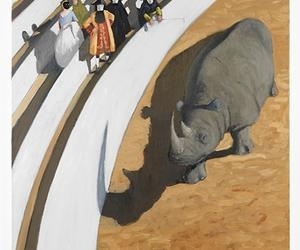 Tonight, Julio Larraz opens his first solo exhibition at the Chelsea gallery Ameringer McEnery Yohe. In a conversation with Cuban Art News publisher Howard Farber, he spoke about his art, his influences, and what he’d like viewers to take away from their encounter with his images. You’ve had a long and distinguished career. How would you describe where you are right now in your creative practice? As an artist, what interests you at this moment? Right now, I am still learning. As an artist my interest is in the reaction of the colors, the mixing of the colors. I am exploring new ways to compose a picture. The artist that turns his or her back on the learning process is ready for an artistic obituary. 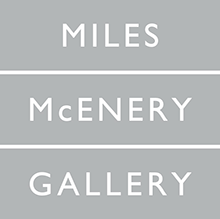 For our readers outside the U.S.. in addition to Ameringer McEnery Yohe, the New York gallery that is presenting this show, what other galleries represent you, and where? I am represented by Galleria d’Arte Contini in Italy, Contini Art UK in London, and Ascaso Gallery in Miami. Do you follow contemporary Cuban art? Are there Cuban artists, on the island or elsewhere, whose work you find interesting? No, I do not follow either contemporary Cuban or any other country’s art. The artist is like a mine, it has to dig inside itself to find the right way. Some gallerists say you’re the most commercially successful Cuban-born artist. Others say you’re not Cuban enough. They are both absolutely right. Before pursuing art as your profession, you had significant success as a political cartoonist and caricaturist. Do you miss it? In past interviews, you’ve mentioned Edward Hopper as an influence. That’s strikingly apparent in canvases like Sunset at Cape Laplace. Could you talk a bit about Hopper in your work? Edward Hoper was a “wadi” in the art world of the 1930s, ’40s, and ’50s, in which realist art is as American as chicken-fried steak! It was nearly as forbidden as abstraction was in Russia and Germany, where it was called degenerate art; here, it was short of being called that. Your art has been described in various, sometimes contradictory ways: realist, surrealist, subtle, exaggerated, dreamlike, contemplative, epic, and more. Have there been any descriptions of your work that you think describe it accurately? What would you like the viewer to take away from seeing your art? The intriguing mixture of their personal response and the visual impact. Then the painting belongs to them.